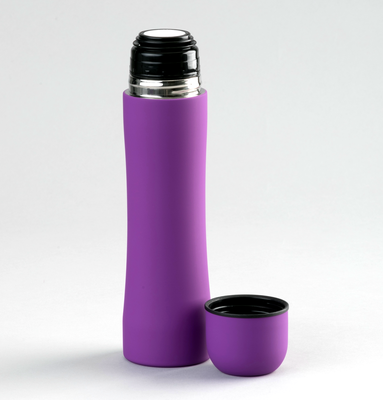 Ultra-leakproof flask, covered with a soft touch rubber-feel surface. Made of high quality stainless steel. The double walled design keeps the content hot for a long time (6 hours with the lid closed). Vacuum insulated. Certified for contact with food and BPA FREE. The product is packaged in an elegant box. Capacity: 500 ml.